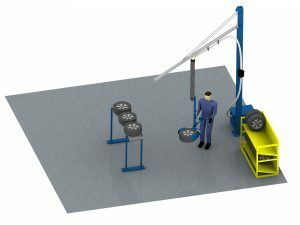 We produce jib cranes, pillar and wall mounted for loads up 500kg (1100lb). We use mostly only aluminum profiles from Swedish Movomech and German Strödter. 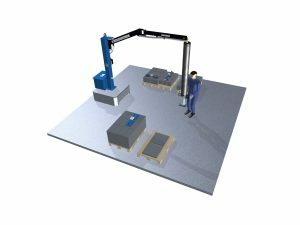 Our smart and simple construction gives a lot of advantages like low movable weight and “easy going” function. Standard or special made in length up to 5m (16ft) and even in special cases 6m (19ft). 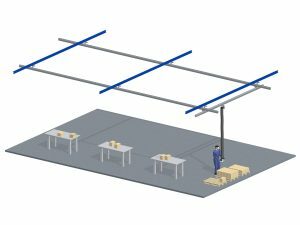 We produce overhead systems und hanging systems, floor mount or hanging from the roof. 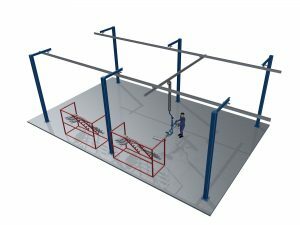 Our construction department use Inventor and Catia V5 depending on the customer demands.